Unboring!Wedding ARE YOU A VENDOR? 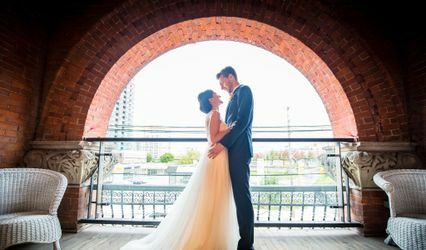 Good news: your ceremony doesn't have to be the least exciting part of your wedding day! 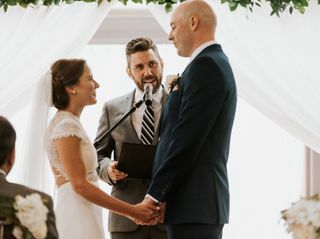 Unboring!Wedding is Mark Allan Groleau, your New Brunswick wedding officiant who specializes in creating fun, lighthearted weddings that have couples and guests saying it was the best ceremony they've ever seen. 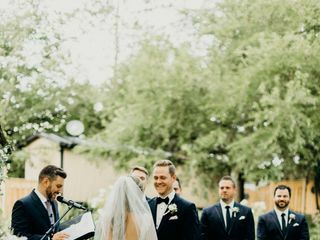 With just the right balance between cheer and tradition, not only will your ceremony include all the elements you want, but it will also feature the story of how you and your fiancee "ended up here today." 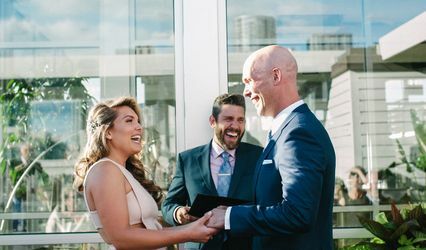 That means rather than a formality, your nuptials will actually be one of the most fun and entertaining parts of your day! 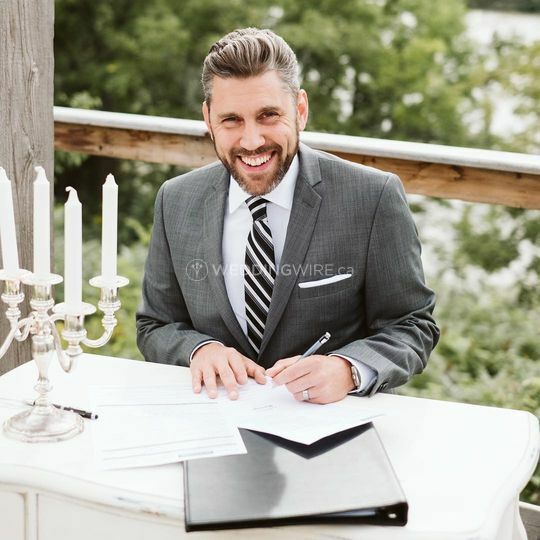 Mark will customize every element of your ceremony with your collaboration, assist you on the traditional elements you'd like to include, write your love story, ask members of your family and friends for their input, and tell it the way it happened to the delight of everyone in attendance. 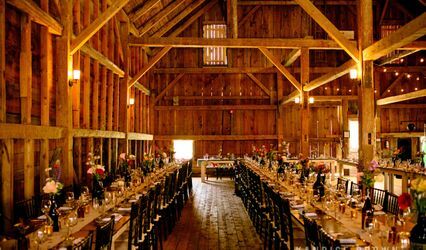 You and your guests will remember feeling riveted, engaged, and moved by your wedding ceremony for years to come. Mark serves many religious affiliations as well as non-religious, interfaith, and spiritual-but-not-religious couples. 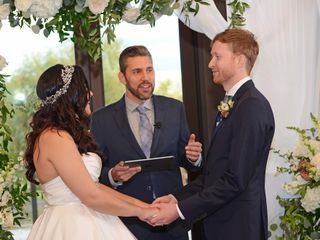 His process includes a no-obligation consultation, 1-hour wedding workshop, unlimited script revisions, open editing process, continuous communication via phone/email, complete rehearsal, travel fees, legal registration of your marriage in New Brunswick, a back-up officiant (just in case), and a guarantee that you'll absolutely love your ceremony. 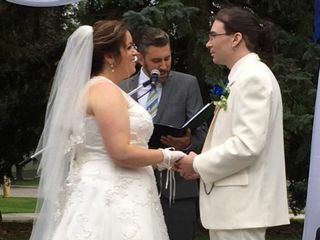 My husband and I were married by Mark a few weeks ago. 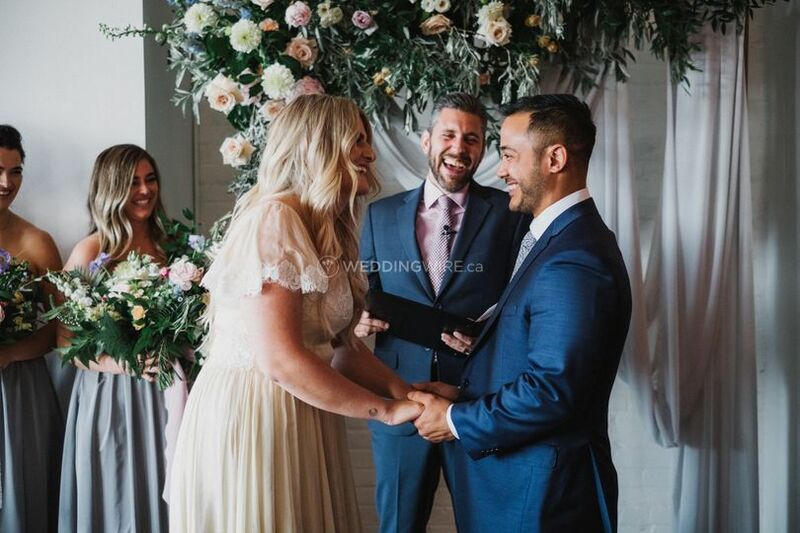 Our guests could not stop talking about how it was the best ceremony they had seen! It was so personal and fun! 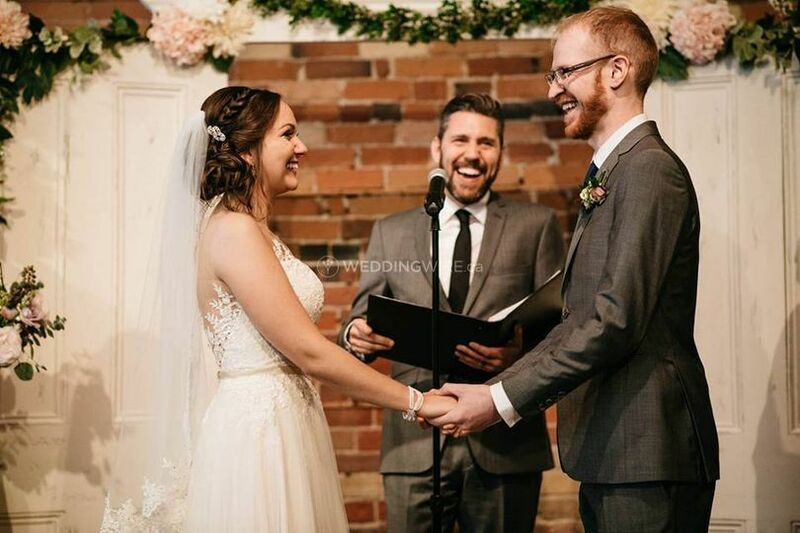 Our guests all asked how many hours we must have spent with Mark as they couldn't believe how he was able to perfectly capture our relationship together. 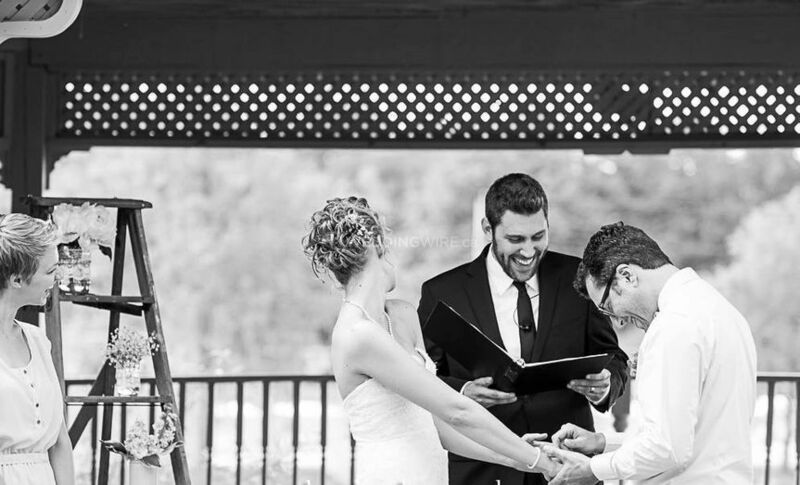 We had a difficult time choosing an officiant as nobody had really stood out to us. Mark was recommended to us by another vendor and we are so happy we met him! Mark absolutely made our day and we can't recommend him enough!!! Mark was one of the first vendors we picked when we started planning our wedding. He was an absolute dream to work with! 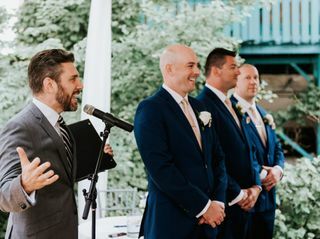 I would have been way more stressed out if not for his superb organization and direction on all aspects of the ceremony. 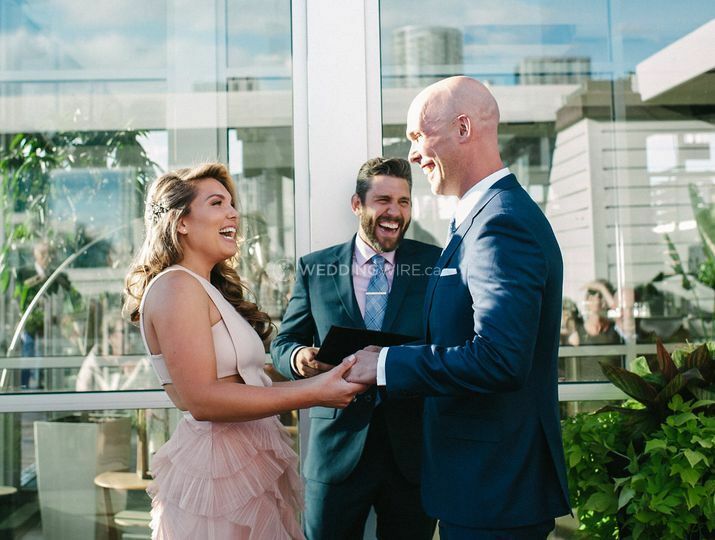 Our ceremony script was collaborative, beautiful, and emotional. Everyone laughed and cried along with us and the vibe was electric thanks to him. He has a wonderful presence! Our families were equally thrilled with the way he conducted the rehearsal and ceremony. Mark was positively phenomenal!! 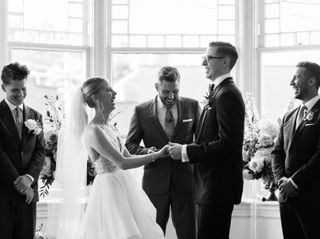 We knew he was the perfect one to marry us and officiate the ceremony upon first chatting with him on the phone. The phone consultation that was supposed to be "brief" ended up being an hour or so long with us just gabbing and laughing. His warmth, charm, wit and passion for what he does is incredible. The love story he put together from what my husband and I wrote about one another in response to Mark's questionnaire was absolutely beautiful. Mark puts so much time and effort into ensuring the ceremony is anything but boring! He made it so easy for my husband and I to feel completely stress free about everything and confident in the process. 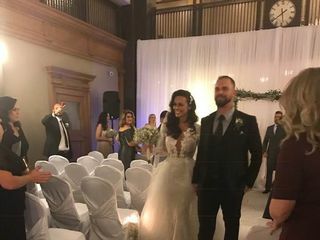 Everyone was complimenting us on the ceremony for days afterwards. 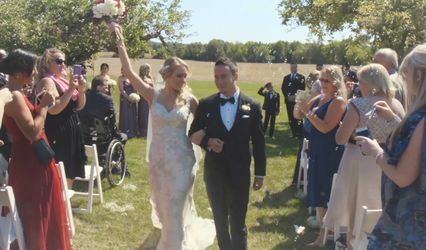 All of our guests were all in total awe of how fun, personal, romantic and moving everything was from the vows to Mark himself! 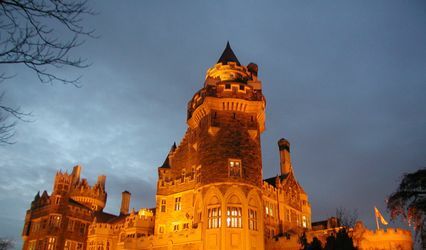 My husband and I could not have imagined it going any more magical than it did... and its all thanks to Mark. We are so thankful and appreciative of everything Mark did to go above and beyond our wildest expectations. It was such an immense pleasure to work with Mark. Wish we could give him more than just 5 stars!! Mark married my husband and I this past July. 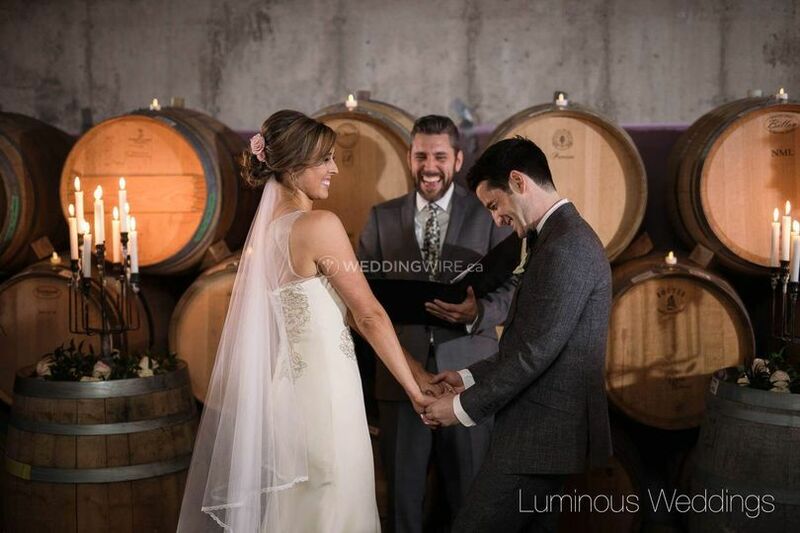 Our guests raved about how it was the BEST ceremony they have ever been to. 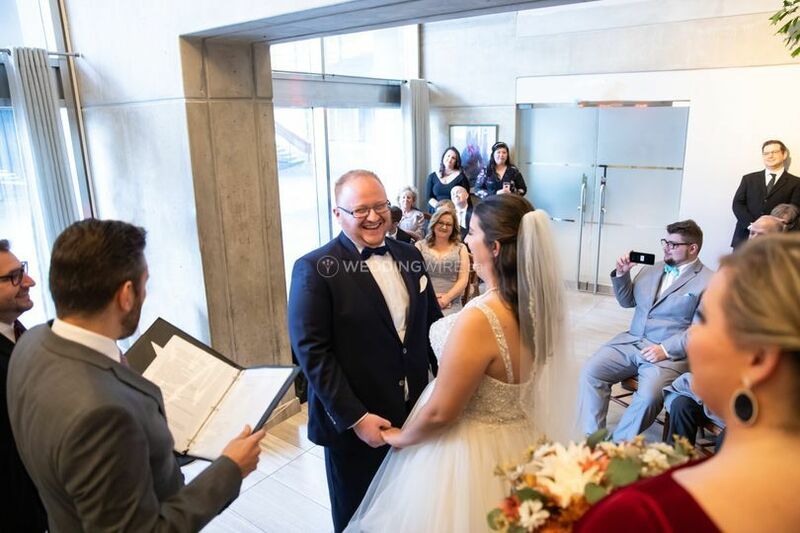 Everyone was laughing, crying and really engaged the wntire ceremony. 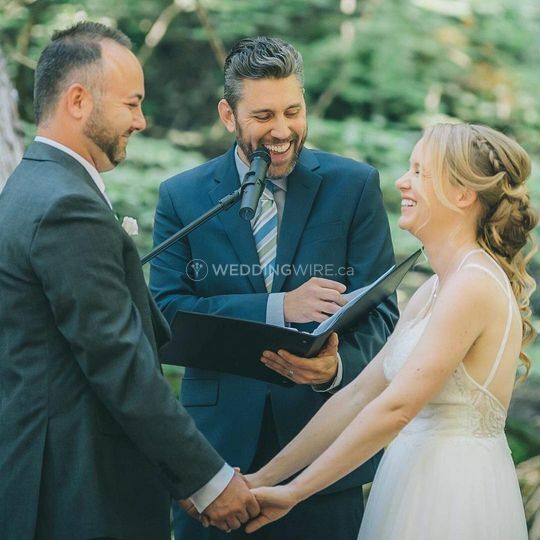 Mark customized the ceremony so instead of reading the same old script most officiants used, it was a one of a kind ceremony customized for my husband and I. He really was worth every penny and I would 100% reccommend him. Mark was one of the biggest highlights of our wedding. 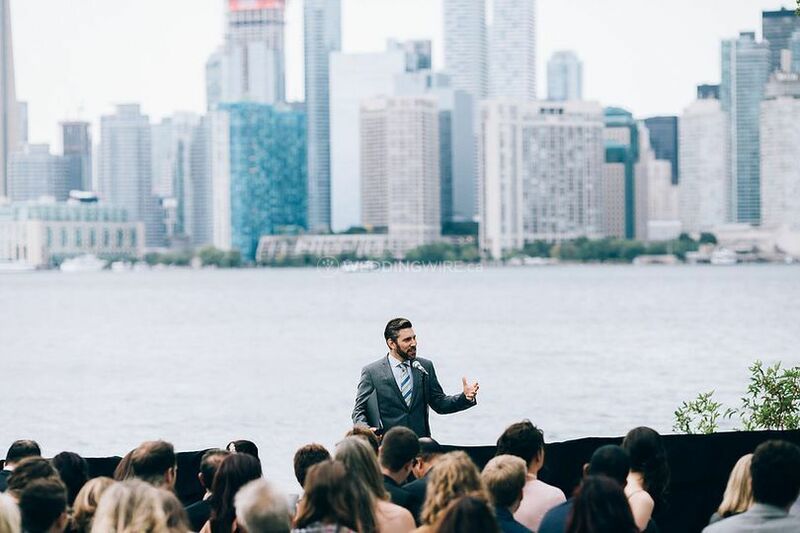 The story he told as part of our ceremony was incredible and all of our guests said it was one of the best they've ever heard. He was also a pleasure to work with in the run up to the wedding!